Suitsupply, a modern men's luxury brand, wanted to project youth, style, and fun in their first major push into the US market. Already a popular brand in Europe, with a strong online presence, Suitsupply wants their stores to be a destination. 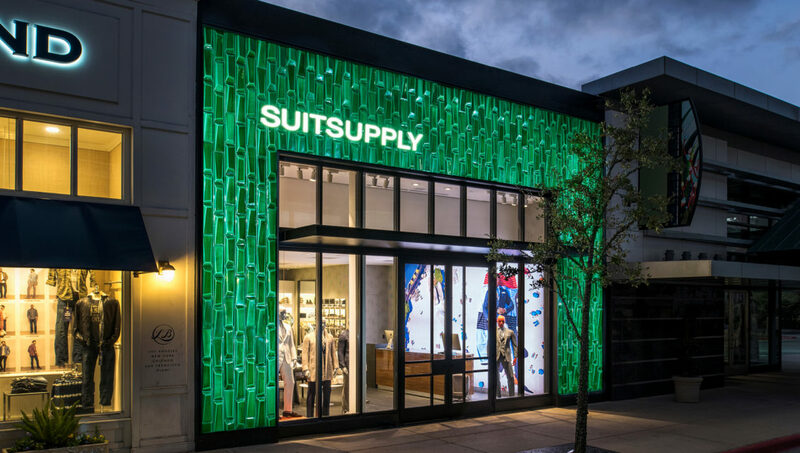 For the Suitsupply, Woodlands Texas location, Fradkin & McAlpin helped create that unique atmosphere, using curved suit display racks, and lounge like dressing areas. This store's location in an outdoor shopping center made an eye catching custom tile facade and canopy possible. 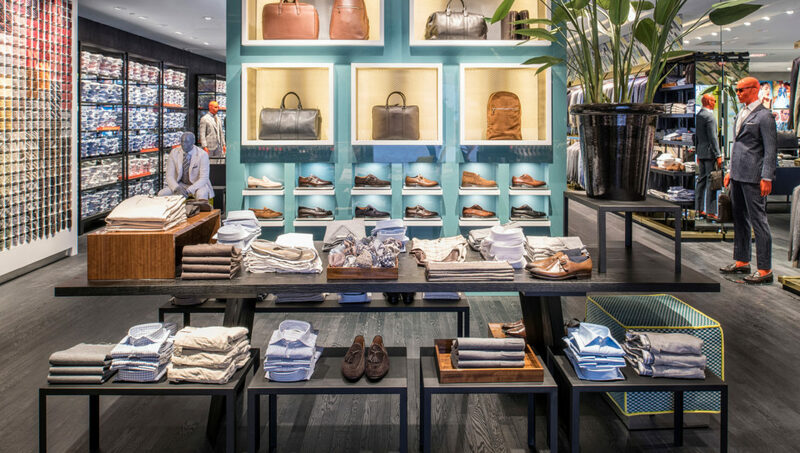 Fradkin & McAlpin collaborated on this Suitsupply location with an international design, and client team.